How's this for a unique urn? 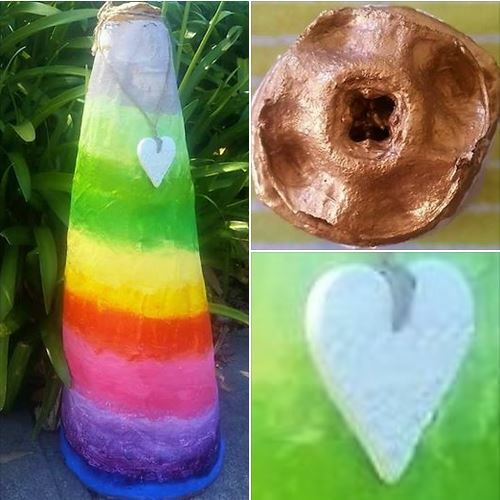 The Rainbow Urn is a conical shape and handmade from recycled materials and hand painted. At the moment we have 1 size but working on a companion urn for 2 lots of cremains and smaller ones where the ashes can be shared amongst family members. It is topped with a gold painted natural seed pod that is secured in place until it needs to be removed so no chance of spillage. The Rainbow Urn is really unusual and very pretty, retailing at $83.